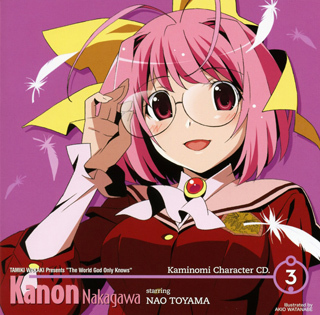 In general, The World God Only Knows, based on the manga by Tamiki Wakaki, is a series that parodies the conventions of Japanese dating simulation games. As a parody of those types of games, it's very successful, albeit targeted towards a niche audience. Fortunately, the show spoofs plenty of anime as well, meaning there's humor there for more than just the dating sim crowd. However, the show does provoke a nagging question: are we supposed to take any of this seriously? The obvious answer is no- it's a farce, and often a very funny one. Still it's hard to watch a show about a young man who's completely given up on real life in lieu of video games and not see some attempt at social commentary there, and that's where it becomes difficult to parse what the show may be trying to say in between all the jokes. Our unusually devious protagonist, Keima Katsuragi, eschews any kind of a social life in favor of playing dating sims morning, noon and night. With the line "reality is just a crappy game," as his motto, he even plays games in class, since his intelligence allows him to ace all the tests. His skills of virtual seduction have led him to assume the internet moniker "God of Conquest." Unfortunately for him, there are bigger problems in store for him than tracking down out-of-print games; evil souls that have escaped from hell like to hide in the hollows of young women's hearts. The only way to force them to vacate the premises is for an enterprising young man to fill their hearts with love. Yes, it all sounds a bit groan-worthy, but Elsie- an adorable but dangerously inexperienced demon- explains it better. See, Elsie needs a male skilled in the arts of seduction in order to fill women's hearts with love, pushing out those nasty escaped souls so she can shepherd them back to hell where they belong. 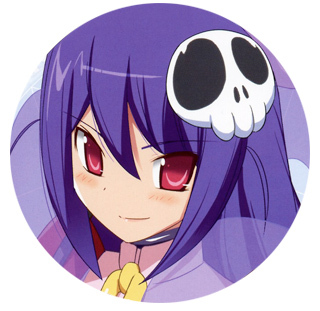 So when this cute-as-a-button demon finds out about this "God of Conquest", who can supposedly win the affections of any young lass, she thinks she's encountered the perfect soldier for hell. Unfortunately, she doesn't know that Keima's expertise is limited to realm of videogames, and he wouldn't know what to do with a real girl if he tripped over one. 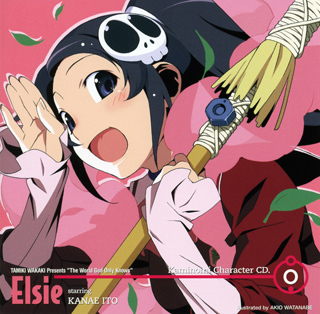 By the time Elsie realizes her mistake, Keima is already under contract with hell and should he shirk his soul-capturing duties, it's curtains for them both. 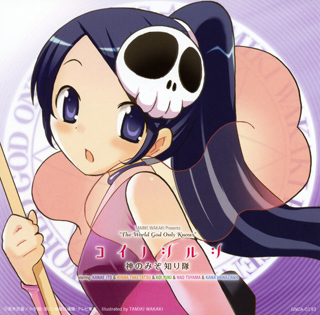 While the capturing souls angle is obviously there just to give Keima an excuse to put down his PFP (the show's improved version of the Playstation Portable) and engage with "real" girls, it's interesting to see the series come up with its own postmodern take on metaphysics to get there; hell may be scary, but it's also bureaucratic to the extreme. This is similar in concept to Kosuke Fujishima's Oh My Goddess! 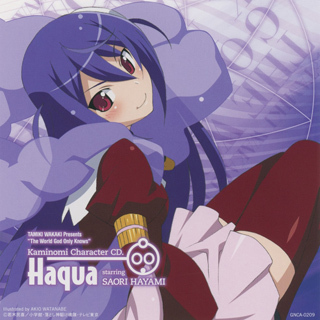 (interestingly, another show in the "it's kind of like a harem show, but not really" mini-genre), which features heaven as a giant computer. 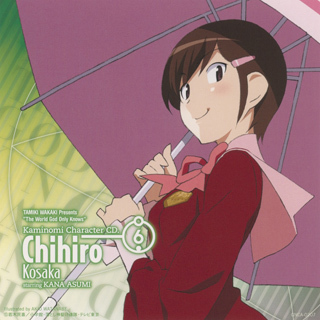 Most of the show involves Keima and Elsie teaming up to "conquer" various girls Keima encounters at school, some of whom have special powers to present an additional challenge. 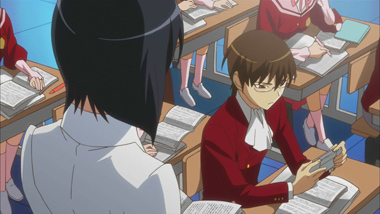 Fortunately, most of the seduction involves solving problems for the girls and earning their trust more than anything else and Keima never becomes too unsympathetic a protagonist, despite the fact that he spends the entire show manipulating everyone. 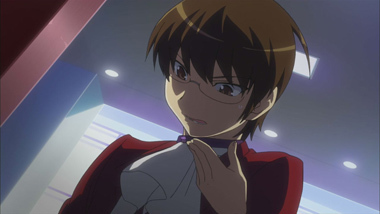 It's hard to blame him for his actions, since he doesn't have much of a choice: if Keima doesn't expel the souls, a collar he wears around his neck will take his head off. There's something to be said for the idea that it would take the fear of decapitation to make a true gamer put down his console and go interact with real people. However, once you brush aside the amusing hijinks of Keima and Elsie and make any attempt to analyze the show at all, things start to get a little disturbing. 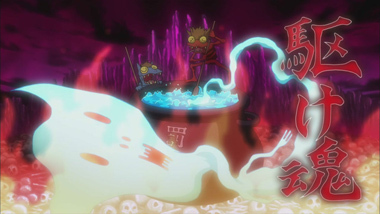 As of two seasons into TWGOK, there' s no indication that these dangerous lost souls ever hide in the hearts of men-only women's emotional problems are potential sources of otherworldly horror, apparently. 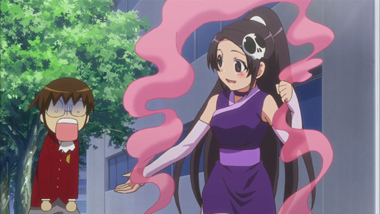 Furthermore, most of Keima's activities involve helping women get over self-esteem issues that they're seemingly incapable of tackling themselves. 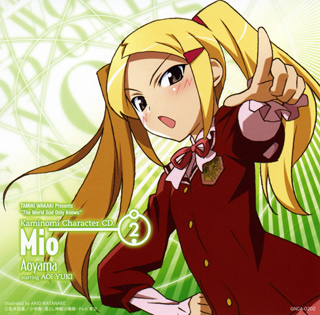 It's tempting for Keima apologists (Keimapologists?) to discount the obvious sexism here because the whole show is about parodying dating sims, which are sexist by design. 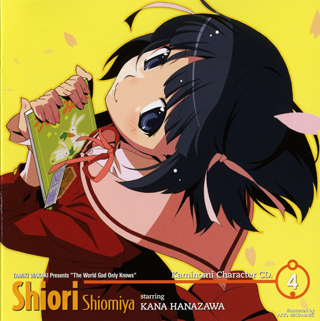 Yet while the show parodies the genre, it doesn't seem to try to deconstruct it much; you would think a show about how silly dating sims are would make a point of showing that the wooing techniques that work on manufactured game heroines don't work on real girls, but it seems like Keima's experience gets him a lot farther than it logically should. 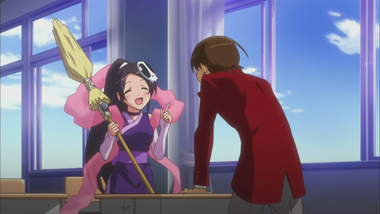 As a viewer, you kind of want to see Keima throw up his hands at one point and say "Curses! This real girl is far more complex than the girls I date in my games!" only it seems like in his world, "real" girls are more or less the same as the video game variety, so this never happens. 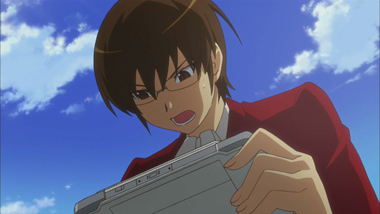 Watching Keima switch from seducing virtual girls to real people with ease is often funny, but a little disturbing when you sit back and think about it. 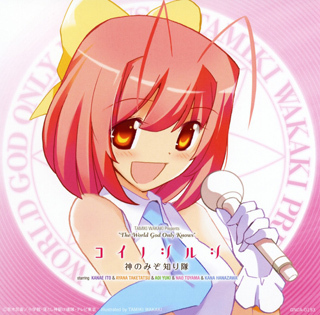 Of course, we don't want to throw TWGOK completely under the bus because it's sexist- it's just too much fun. At this point, it might be best to stop looking for any meaning in the show and just enjoy it for what it is: a funny romp that, despite a sexist premise, has many likable female characters (to know Elsie is to love her) and a refreshingly self-aware protagonist. 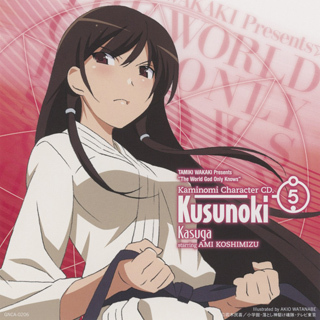 However, the strange thing is that TWGOK actually has depth; the question of whether Keima is wrong to indulge in virtual worlds at the expense of his relationships in reality is shown to be much more complicated than you might expect. It seems like the obvious direction for the story is for Keima to realize that relationships with real people are infinitely more rewarding than interacting with his two-dimensional game heroines, and to throw down his PFP in his zeal to go out and enjoy life. Yet, while the series may eventually go in that direction-it would be surprising if it didn't- the show respects Keima's view that a life lived entirely through videogames can be rewarding. 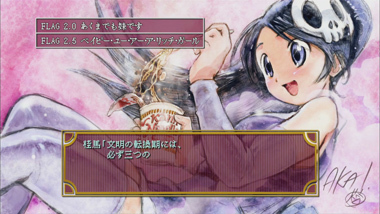 While Elsie and other characters may find his coldness towards real people sad,† Keima really does enjoy interacting with the characters, and he seems to achieve a kind of catharsis through them. With more and more people becoming absorbed in games at the expense of reality, a trend that many find disturbing (especially in Japan, where the hikikomori phenomenon takes this to the extreme), it's laudable that the show gives their point of view a fair shot instead of immediately jumping to the "Real relationships are superior by default!" conclusion. 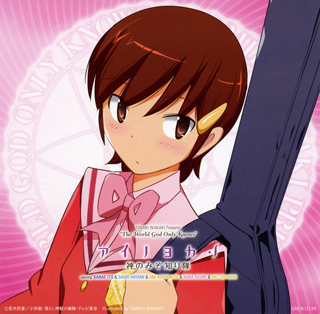 Production-wise, there's little to complain about with TWGOK; the character designs are attractive, and the first opening theme, Oratorio The World God Only Knows by Elisa, is a perfect match for the show. 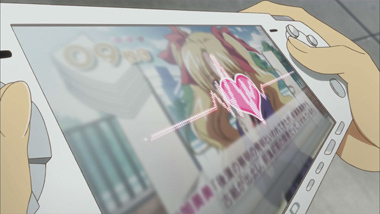 The show playfully integrates characteristics of the games it parodies, calling the episodes by their "FLAG" numbers, and the visuals often take on the look of various user-interfaces from dating sims. Those looking for action will be disappointed, as even with the frequent sight gags and Elsie's magical mayhem, plenty of dialogue-driven scenes slow the pace considerably. We found that the trials of different girls kept our interest, but some might find the series repetitive after the first few soul captures. Finally, it may not be surprising to see the show parodies a popular property like the first Ghost in the Shell movie, but some of the parodies come way out of left field and are bound to surprise you. All that said, does the humor and interesting premise of the show make up for a depiction of female characters that some viewers may find offensive? Only the individual viewer, and perhaps God, really knows. 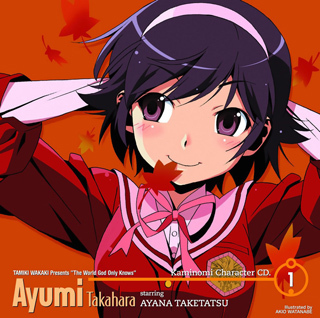 Both seasons of The World God Only Knows are available streaming on Crunchyroll. 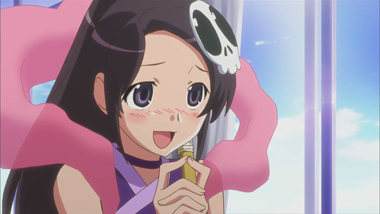 Below: Scenes from The World God Only Knows. 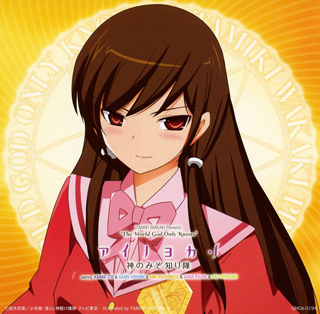 Below: CD covers for The World God Only Knows. 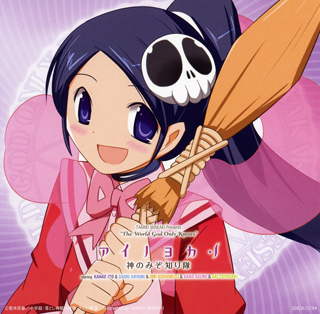 Below: Character CD covers for The World God Only Knows.